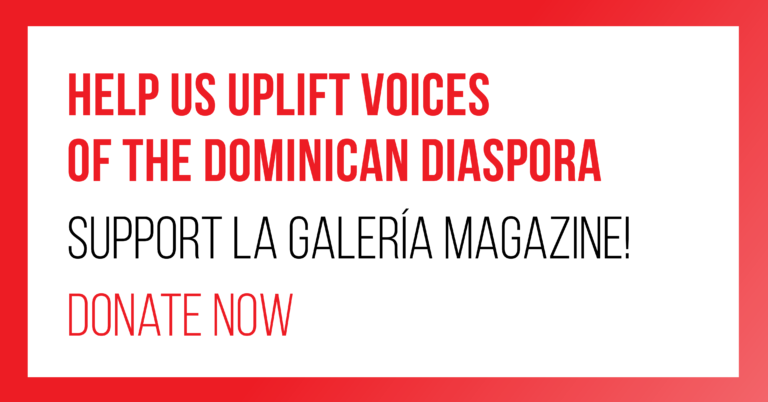 Please join us for La Galería Magazine’s 5th Annual Open Mic. Join us for an evening of celebration with featured artists, exclusive vendors, and more. 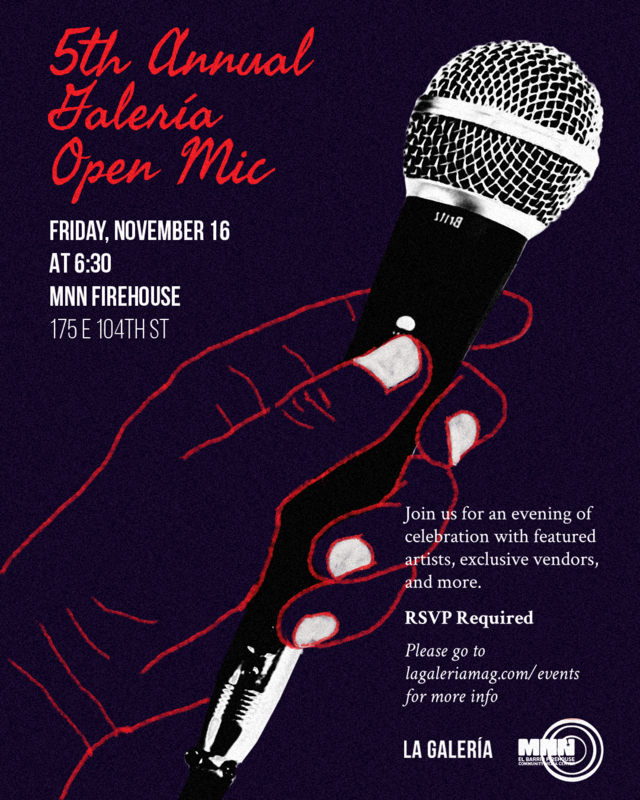 Our annual open mic provides a safe space for the community to come together through spoken word and conversation. We will be selling our first print edition and other limited edition merchandise. RSVP disclosure: RSVP will be completed through MNN. Manhattan Neighborhood Network (MNN) is Manhattan’s free, public access cable network. The information collected in the registration form is for documentation purposes only. No mail or calls will be made to you.